We love wookiees here at MightyMega. Here, I’ll prove it to you. If you like wookiees too, then maybe you want to wear some on your feet. But these aren’t fuzzy slippers, these are wookiee shoes you can wear out of the house. They’re handpainted by K8MakDzins, and feature a wookiee hair pattern, along with tiny bandoliers painted across them. 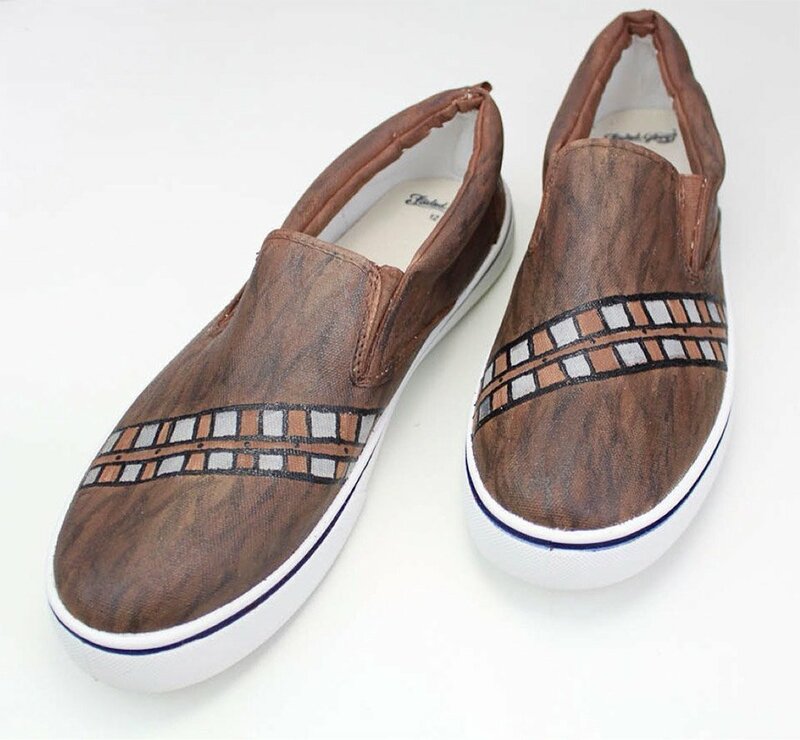 Be sure to browser K8MakDzins’ Etsy shop for lots of other geeky handpainted shoes. I particularly like the Darth Vaders.